As everybody out there is killing itself to stay thin, just a little may be concerned about their skinny frames. Well, the good news is, gaining weight is much easy than losing weight. Weight Gain is all upon what you eat and in what amount. A balanced diet is very important in gaining weight. Proper gap & time for meals also plays an essential part in gaining. It may occur that you eat a lot but you are not able to gain weight. So one ought to know whether what you eat is serving you in gaining weight or not. 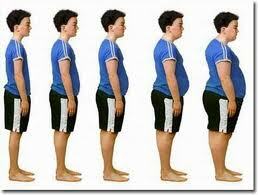 Whenever you won’t pay attention towards your health is will start gaining or reducing weight. Whenever you work at an office or at your home you should abide certain rules and regulations. So if you want to gain weight all you need is some good advice. Here is a catalog of things that one can add on to his/her normal diet to gain weight. By Following these easy tips you can surely gain weight. Note: If you are pregnant or a heart patient or having any other problem you should strictly first consult your doctor about your diet plan and ask him about some suitable exercise. At least drink 2 glasses of milk daily. Do Eat bananas for gaining weight, these will help you a lot, or you can go for banana milkshake which is an easier and a more better way of including bananas as well as milk in your diet. Strictly avoid junk food, this won’t help you much in gaining weight. If you can then keep a record of your calorie intake every day. Aim to add more calorie intake by checking the record. Go on in increasing your calorie intake until you notice a weight gain. rice that you have each day. Try eating eggs for breakfast. Eggs, lean meat, fish, skinless chicken, pulses, sprouts, and dairy products that rich sources of proteins. Fish such as tuna and mackerel are rich in oil and are one of the best ways to increase weight. Add vegetables like French beans, broccoli, Chinese cabbage, carrots, lettuce, spinach, asparagus, pumpkins, and eggplants to your diet. Eat foods in your diet that are rich in calories, like pulses, cereals, meat, bread, rice, dry fruits, and nuts. Yoga such as Sarvangasana helps to normalize your weight according to your age and height. One should practice Yoga for healthy body and weight management. If you become exact serious concerning the timings of your meal, then you will be able to gain weight easily. So be aware of the timings and have balanced diet to increase weight. Sleeping at the right time is also very important, avoid all night studies and work. Beside all these things you should also work out regularly or do yoga so that the total fitness of your body maintains its level. Just be cautious on what you eat and stay healthy and fit. You will definitely have someone to mention you that you have gained weight. Food & Nutrition, Health and Fitness, Mens Health, Womens Health Exercise, healthy diet, healthy food, Weight Gain. permalink. m not able to gain my weight…please help me…!!! i have tried many thinks but it doesn’t effect me…. i am not able to gain weight. it is constant from about 4 years. i am 18 years now. please help me to gain weight.